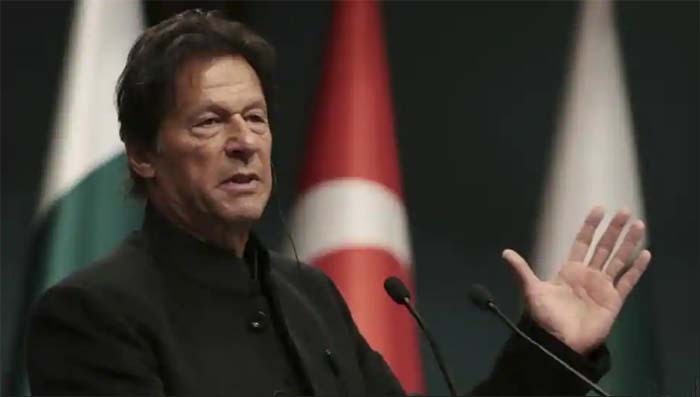 Pakistani Prime Minister Imran Khan called an 'emergency meeting' to discuss the security situation and a response to India with high-level officials in his ministry. According to Foreign Minister Shah Mahmood Qureshi, PM Khan summoned the meeting at 11 am Tuesday, Dawn reported. The meeting is underway at the moment. Qureshi had earlier this morning called an 'emergency meeting' at Islamabad's foreign office to deliberate over the current situation following what Pakistan calls the 'violation of the Line of Control'. The meeting was held to discuss the security situation in Pakistan and was attended by former secretaries and senior ambassadors. Earlier in the day, Pakistani Major General Asif Ghafoor, Director General of Inter-Services Public relations (ISPR) which is the media wing of the Pakistani army also confirmed the attacks in a tweet. "Indian aircraft intruded from Muzafarabad sector. Facing timely and effective response from Pakistan Air Force released payload in haste while escaping which fell near Balakot. No casualties or damage," he tweeted. "Indian Air Force violated Line of Control Pakistan. Pakistan Air Force immediately scrambled. Indian aircraft gone back," he said in the official tweet.